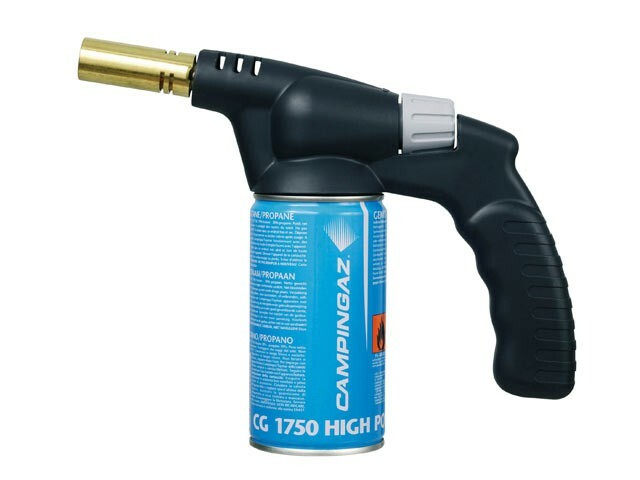 The Campingaz Handy blowlamp has a highly ergonomic, shock-resistant polypropylene handle for comfortable use. The brass burner produces a flame which allows fine adjustment via a nozzle. It can be operated with either the Campingaz® CG1750 or CG3500 valve cartridges.